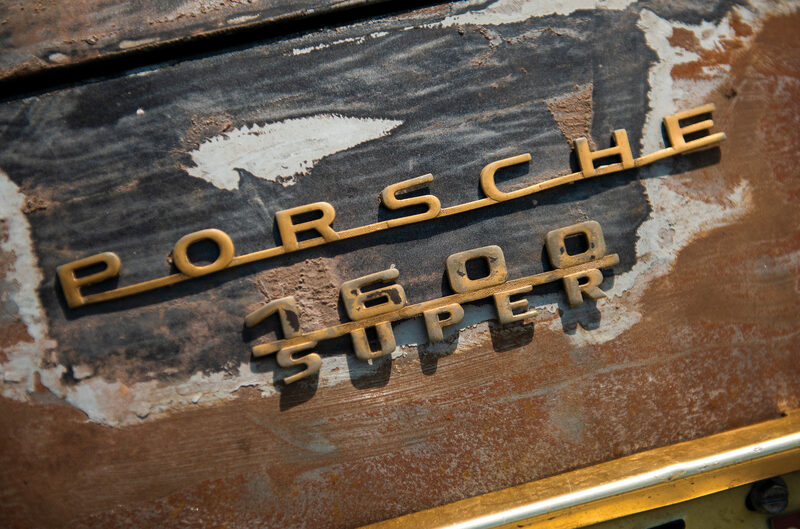 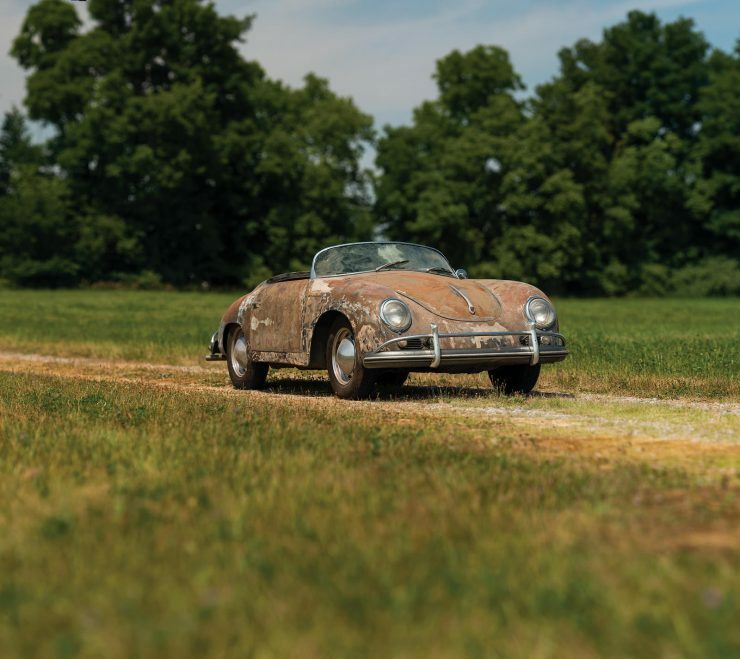 The Porsche 356A 1600 Super Speedster wasn’t originally designed to be an expensive car, in fact it was specifically designed to be as inexpensive as possible while still being profitable to build and sell. The idea to build the original Porsche 356 Speedster came not from within Porsche, but from legendary US exotic car importer Max Hoffman. 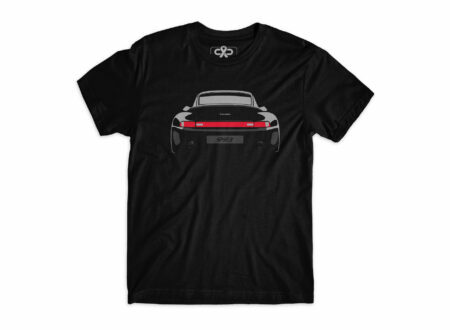 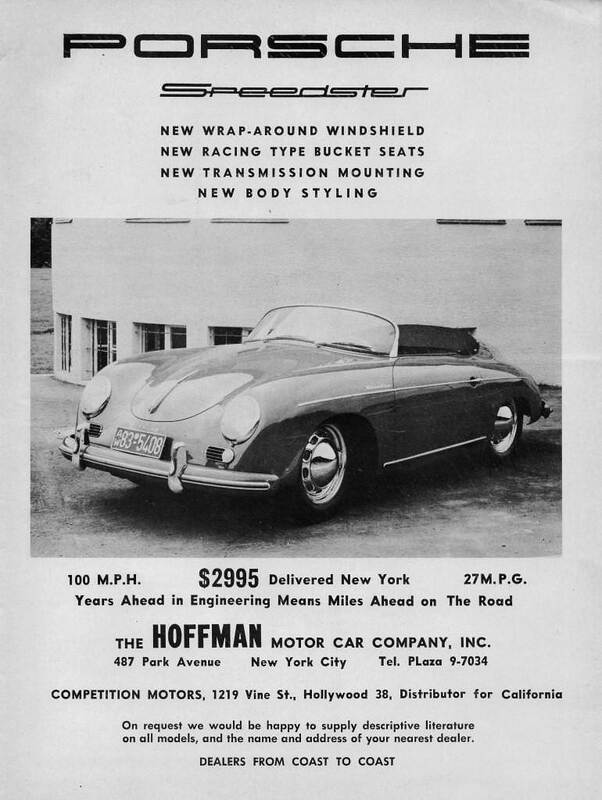 It was Hoffman who was the impetus for many of the most iconic cars of the mid-20th century including the 356 Speedster, the Mercedes-Benz 300SL Gullwing, the BMW 2002, the BMW 507 roadster, the Alfa Romeo Giulietta Spider, and many many more. He’s been credited with being the driving force behind the introduction and promotion of marques like MG, Porsche, Alfa Romeo, BMW, Jaguar, Mercedes-Benz, Fiat, Healey and others into the USA – his influence on the American and European automotive industries has been critically under appreciated in the decades since he retired in 1975. 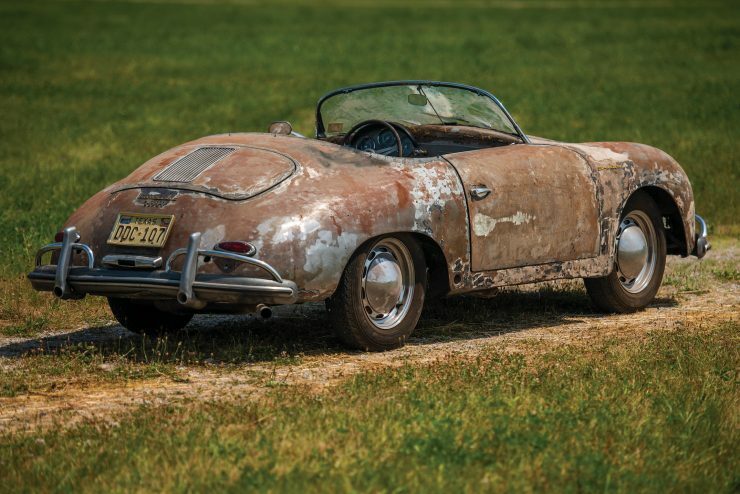 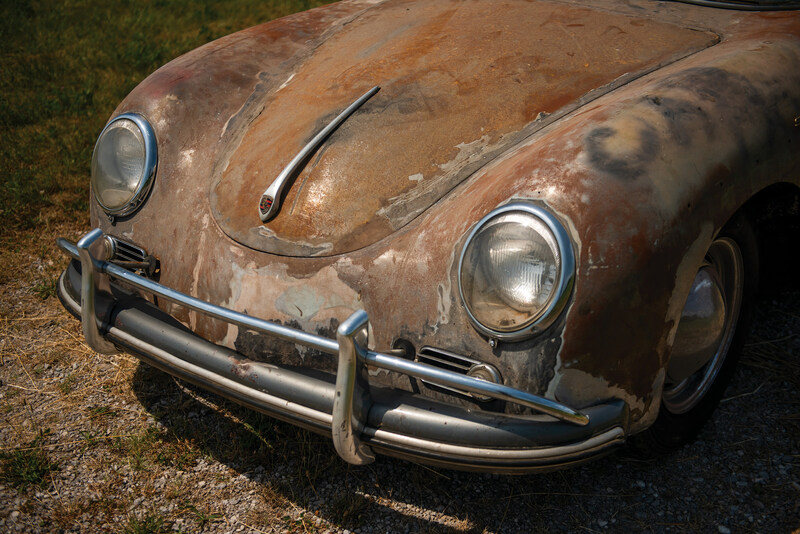 Few cars besides the 911 have been as important to Porsche as the 356 Speedster, he latter of which was introduced in late 1954 as a low-cost, lower weight version of the 356 cabriolet. 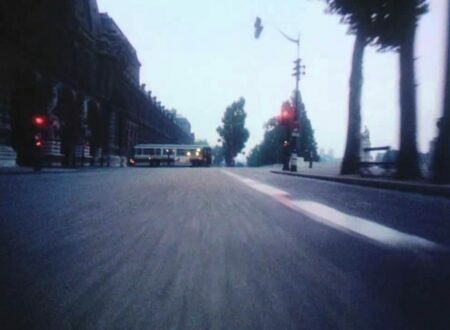 In order to get the cost down below the target $3000 USD mark some of the interior trim was removed, a minimal folding top was paired with a low, removable windscreen, side curtains were installed instead of wind-up windows, and the dashboard was limited to a speedometer and a temperature gauge. 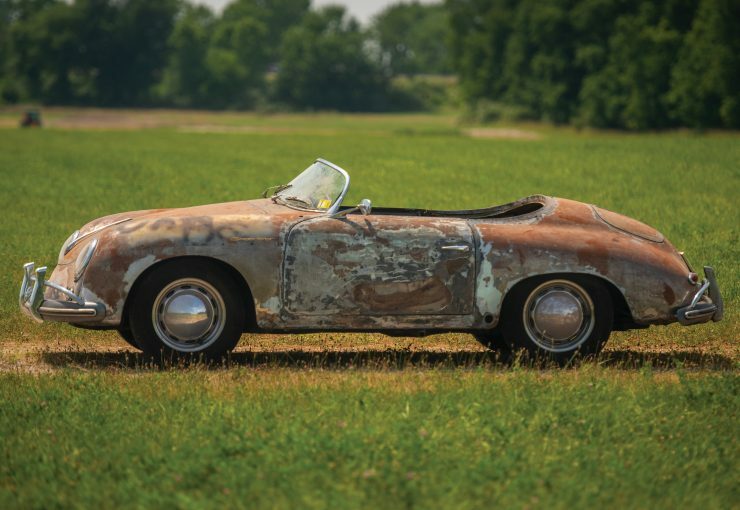 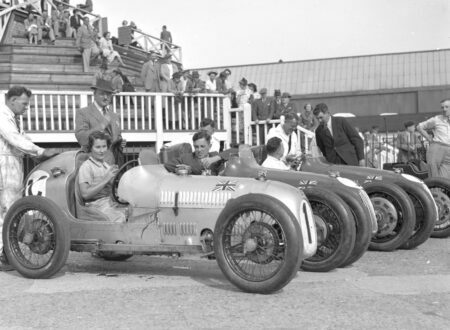 Just a few months after the Speedster’s introduction movie star and keen amateur racing driver James Dean traded his MG for a Porsche Super Speedster not dissimilar to the one shown here. 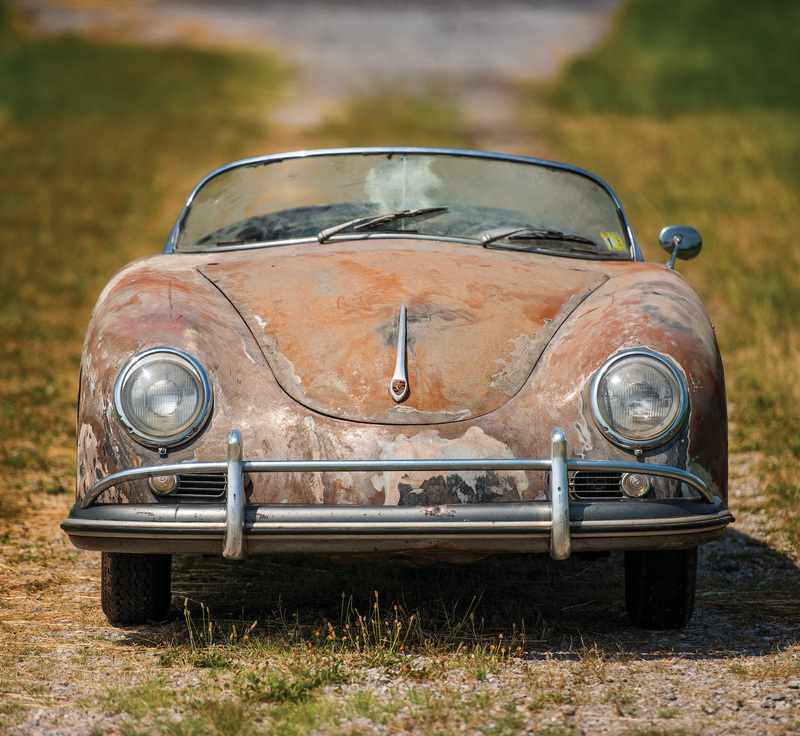 The waitlist to buy one was long, and it’s likely that his national fame bumped him to the top and got him into a car far more quickly than would have been possible otherwise. 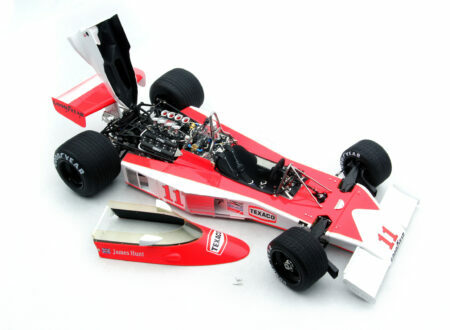 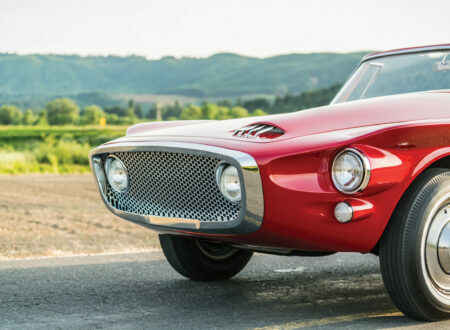 The $2995 MSRP and spritely performance made possible by the low kerb weight, competitive power-to-weight ratio, and independent front and rear suspension led to strong sales, and a halo effect that lifted the still-new automaker to a place of reverence in the minds of sporting-minded American drivers. 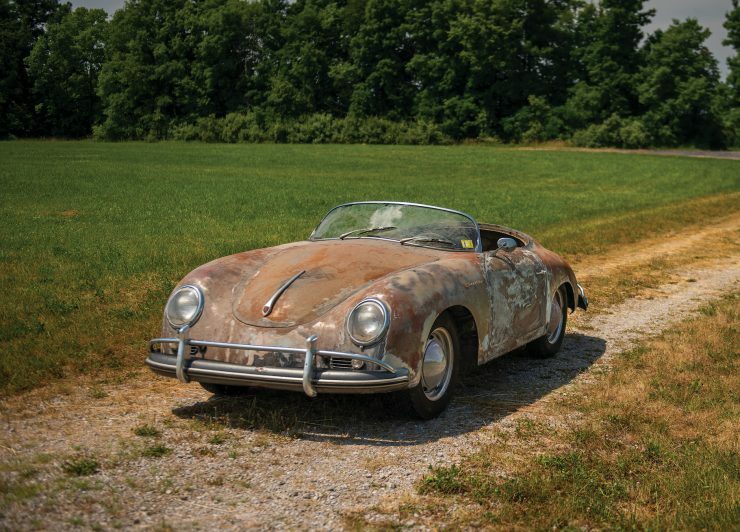 All in all, the 356 Speedster would only be offered for sale from 1954 till 1959, after which it was replaced by the less enthusiastically named Convertible D.
The popularity of the design coupled with its legendary status have resulted in the Speedster being one of the most popular targets for replica car makers, in fact today if you see a Speedster in the wild the odds are overwhelmingly likely that it’s a fiberglass recreation with a VW Beetle engine. 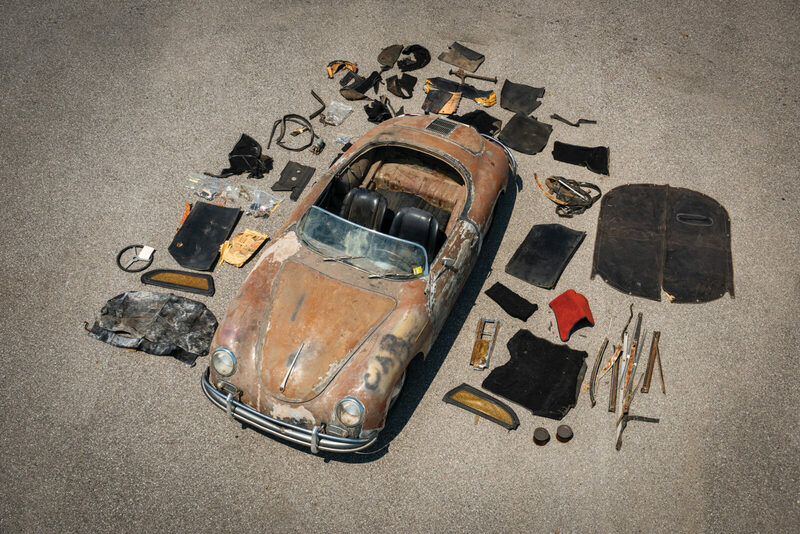 The car you see here is an ideal restoration candidate still fitted with its original 1600 “Super” engine, capable of 75 hp once restored and refitted. 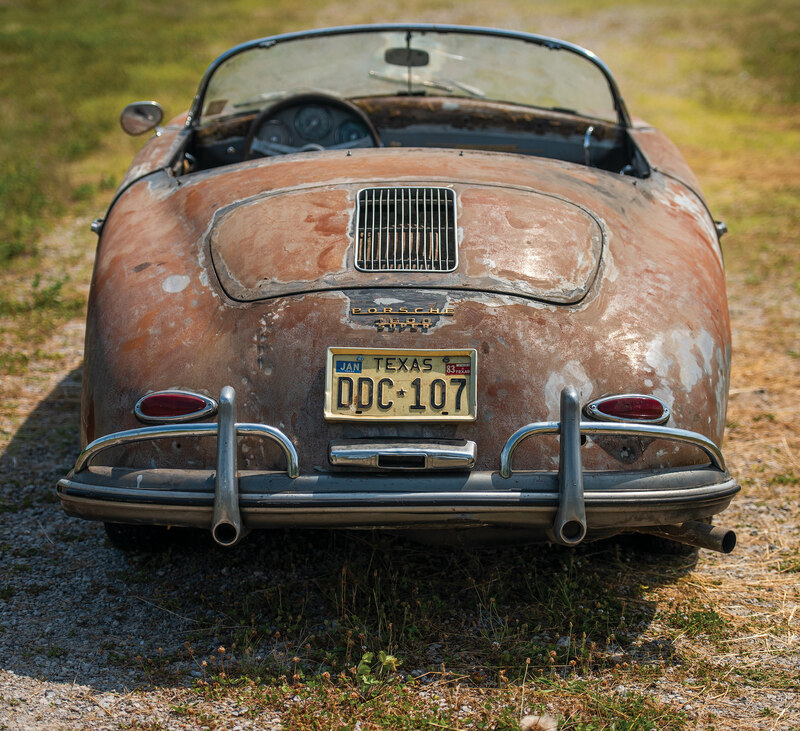 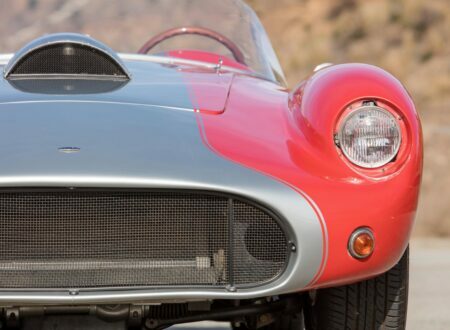 A Doctor bought this Speedster in rough condition in 1984 intending to restore it, the project remained largely untouched for forty years, and it’s now being offered for sale. 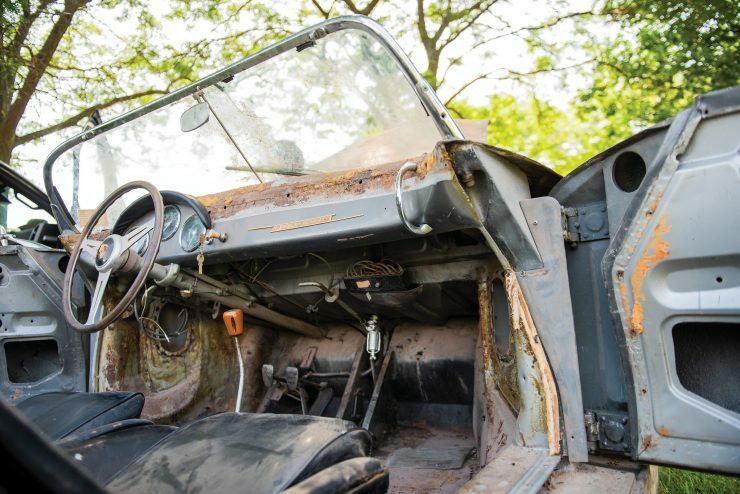 Though the sheet metal appears largely salvageable the car will likely need new floor pans, a trunk floor, and a battery box, though a specialist restoration shop won’t find this particularly challenging. 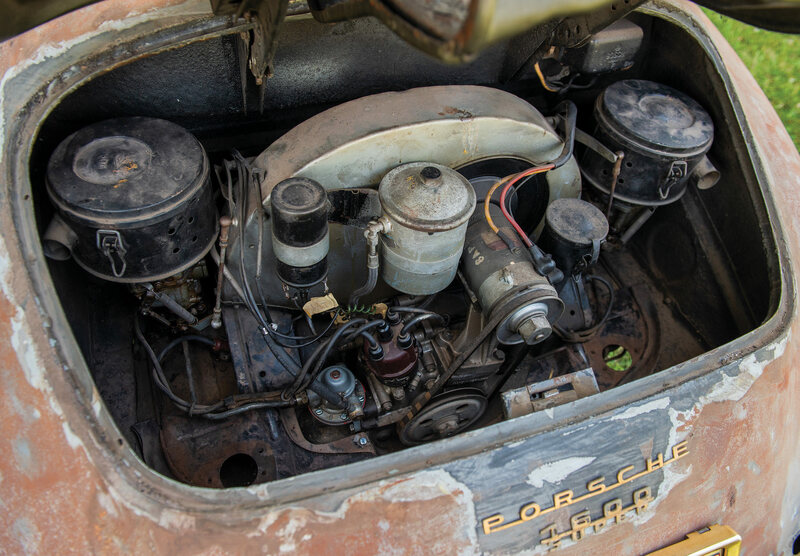 Under the engine cover a period Bursch extractor exhaust system is still fitted, and the original factory-installed seats have since been replaced with more sporting Speedster bucket seats. 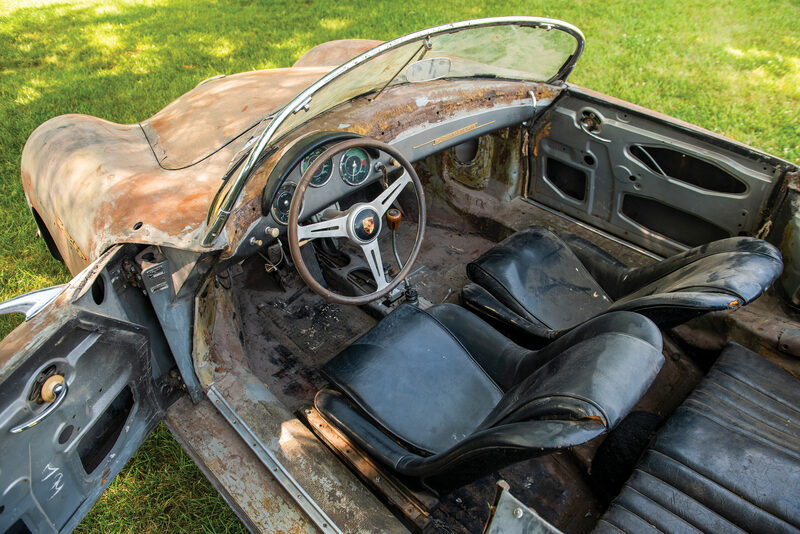 The original color is still visible in some areas as 608 Silver Metallic, and it’s likely that the original interior would have been either red or black leatherette. 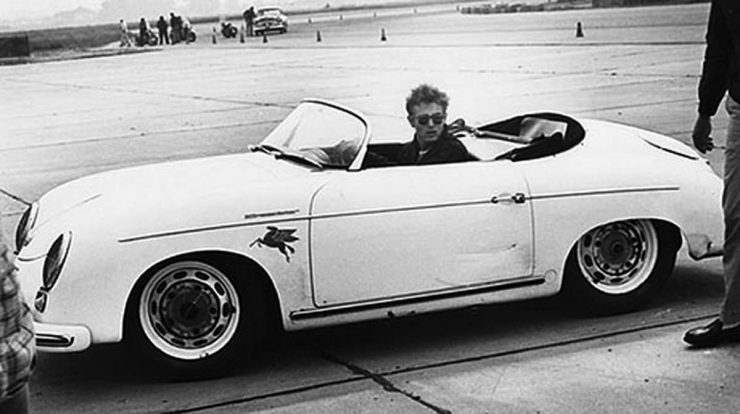 Above Image: James Dean in his Speedster, likely taken in 1955.